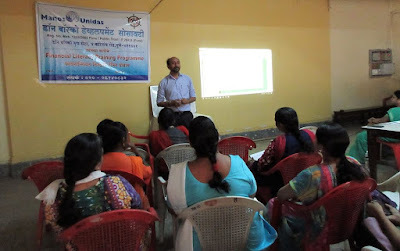 Pune, May 2017: The Don Bosco Development Society (DBDS) Pune organized a ‘Financial Literacy Workshop’ held under the aegis of ‘women empowerment project’ supported by Manos Unidas, Spain. 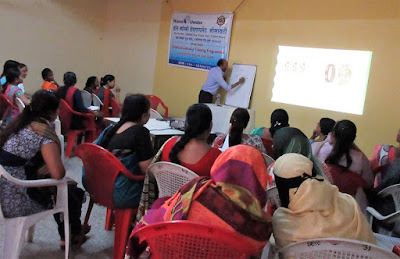 26 women belonging to various SHGs participated in this workshop. The workshop focused on various fraud financial schemes in which people lost their money. 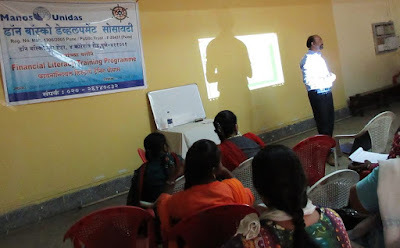 Mr Mahesh Kumar was the resource person for this workshop. In the first session, he discussed about the anatomy of Ponzy schemes, their operation and mechanism. He gave example of schemes such as PACL, Speak Asia, Stock Guru, EMU farming, CITRUS Check-Inn, Royal Twinkle etc to explain how these companies looted the hard earned money of people. Lakhs of people invested in these ‘scams’ and how their money was lost in these fraud schemes. He also informed people how to check about such schemes and how they can avoid investing in these schemes. The next session informed the participants on the type of investing in Gold. Investing by physical gold, gold saving schemes, gold bonds, gold ETFs etc The difference between various types of gold; white gold, green gold, grey gold etc and also difference between 24/22/18 Karat gold. He also informed how the gold smith price jewellery and how they can bargain with the jeweler. There were few ladies who had invested in fraud scheme like Pancard, royal twinkle and they enquired the resource person, how they can get back their invested money. He shared his views with them. 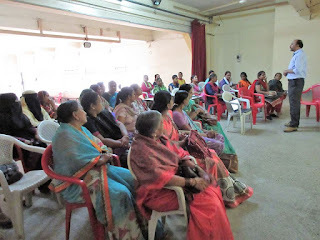 The women participants like the session and request to conduct such session in their locality with their husband/ head of the household so that they also benefit from such workshop. The resource person agreed on this.